Sometimes too much of a good thing can be bad...like the recent preview of Sheraton Imperial KL's (SIKL) Christmas, we were simply inundated with food, food and more food. How not to slip into a culinary stupor amidst that extravagant surfeit? Dainty portions of canapés: Duck Foie Gras Lollipop with Crunchy Pistachio and Pineapple Sauce, Tandoori Fish Bruschetta with Mint, Seafood Pasta Aglio Olio and Pasta Arabiata paved the way for the lavish feast ahead. Buffet fans will enjoy Essence's extravagant Christmas Eve Buffet Dinner that proffers interesting starters such as Wild Mushroom with Lamb, Grilled Leek and Yellow Tomato, and Watercress & Soya Milk Soup with Sundried Tomato Nougat. The inspiring Seared Cod with Crusted Coconut Chili and Citrus Cinnamon Reduction will reel you in as it did us; the fish's rich sweetness a joyful match with the chosen robust yet tangy components. 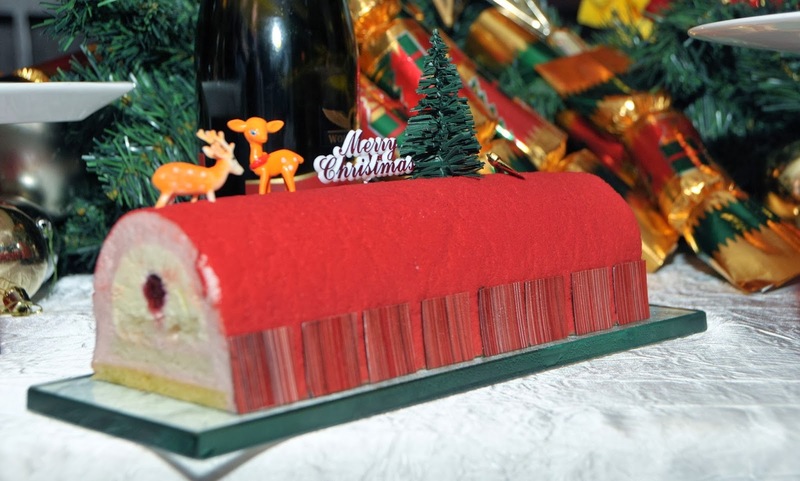 Wrap up your festive meal with some berry special Litchi and Raspberry Mousse Yule Log; its fruity sweetness rounding things up on a light, sweet note. The Christmas Eve buffet dinner at Essence is priced at RM118++ per person (food only) and RM158++ per person inclusive of free flow of house wines or 3 bottles of beer. If you prefer a leisurely Christmas Brunch, the Essence team will tempt you with a lavish line-up that includes Dill and Peppered Ahi Tuna with Capellini Pasta Salad and Grilled Baby Fennel, Cream of Spinach with Salmon Flake, Skewered Salmon Medallion with Apricot-Olive Couscous and Sautéed Baby Greens, and Caramel Fudge Chantilly with Apple Crepes. Priced at RM188++ per person (food only) and RM368++ per person inclusive of free flow of sparkling wine, draughts beer, white and red wine. More sophisticated palates may prefer the homely yet elegant confines of Villa Danieli where an exquisite Christmas Eve 5-course set menu awaits. Chef Rajesh whips up a storm starting with Gorgonzola and Pistachio Parfait with Apple, Celeriac and Raspberry Salad, Honey Balsamic Vinaigrette and Warm Ricotta Cheese Croquette. An equally imaginative Potato and Fontina Cheese Ravioli with Sautéed Spinach and Parmesan Cream appetiser primes the palate for the hearty main of Crusted White Pepper Beef Tenderloin with Buche de Chevre Gratin, Pear Compote and Celeriac Mille Feuille. 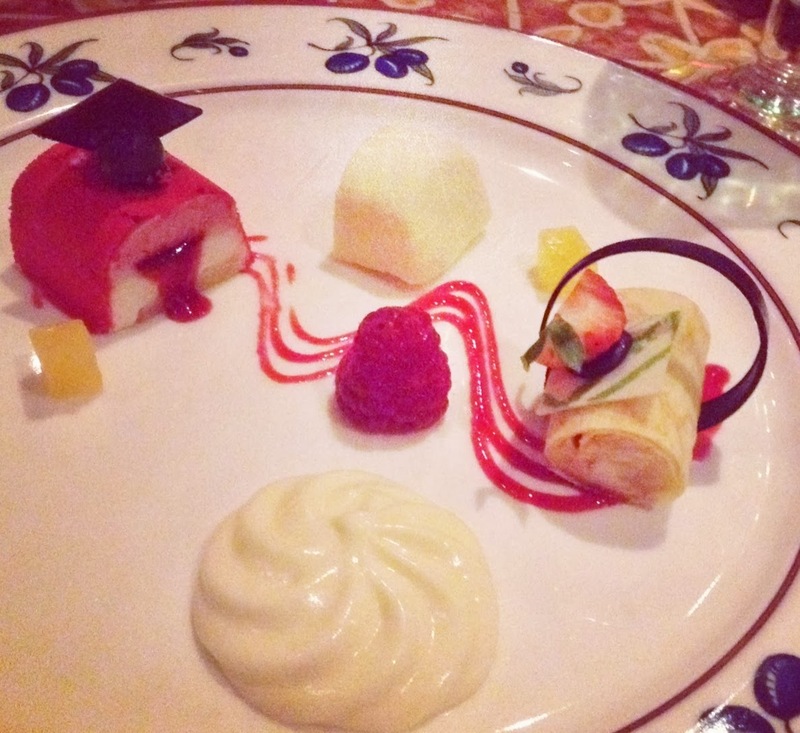 Ending the celebratory dinner on a sugar high is White Chocolate Parfait and White Chocolate Mousse with Pistachio and Raspberry, Orange Gelatin Sheet. Villa Danieli's exclusive 5-course dinner priced at RM220++ per person is only available on 24 December 2013. Pair fine wines with your dinner for an additional of RM120++ per person. 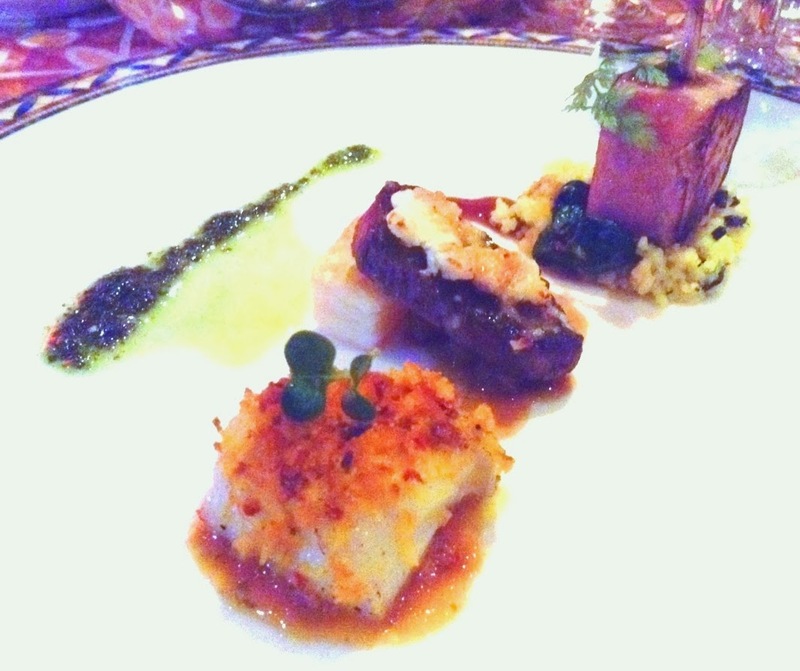 We were also treated to sneak samplings of the New Year’s Eve Buffet Dinner at Essence. Great eats that ramp up the festive feel range from Rolled Eggplant Cannelloni filled with Vegetable Caponata and heartwarming Prawn Bisque to Harissa Marinated Chicken Roulade with Mushroom Stew and Poached Cinnamon Pear William Sabayon with White Cranberry Shaving. The appetizing New Year’s Eve dinner buffet will be served at RM118++ per person (food only) and RM158++ per person (inclusive of free flow of house wines or 3 bottles of beer). Alternatively, jump start 2014 with Essence's New Year Day Brunch, an appetite-whetting parade featuring sublime viands of Octopus Pickles, Soft Bean Curd and Wakame with Ponzu Dressing, Roma Tomato Soup with Pesto and Seared Duck Breast with Grilled Pineapple and Berries Balsamic Sauce. Luscious options such as Berries Mille Feuille with Gingerbread Patisier are perfect for sweetening the first day of a brand New Year. Reminisce over the old year while ushering in the new one over a splendid New Year’s Eve 5-course set menu at Villa Danieli. Recount the year's successes and achievements over mouthfuls of Mediterranean Octopus Salad with Tomato Gelatin, Olive Dust and Chick Pea Mousse. Continue your walk down memory lane with Creamed Cod Squid Ink Ravioli with Thyme, Tomato Fillet and Prawns in Tomato Coulis Sauce. Then dig deep for fresh resolutions to keep as you savour the chef's specialities: Beef Tenderloin stuffed with Foie Gras, Sautéed Mixed Mushrooms and Honey Glazed Jus, and Seared Snow Fish Medallion with Leeks Puree and White Asparagus, Sprouts and Ash Sauce. Remember sweet success comes with effort and after indulging in Raspberry Panna Cotta with Crispy Almonds and Lemon Mousse. The exclusive 5-course dinner is only available on 31 December 2013 and is priced at RM220++ per person. Treat yourself to some fine wines paired with your dinner for an additional of RM120++ per person. Note: Photos depicted here may differ from actual dishes as some servings were sampling portions prepared for the preview. that cod + squid ink ravioli is really intriguing. I hope you didn't really have those cakes in between the dishes, hahaha.